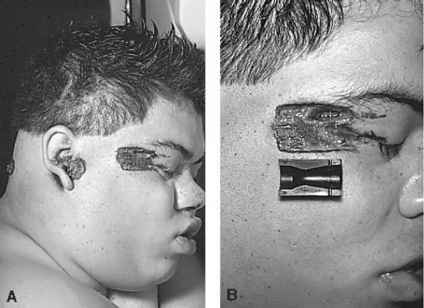 The appearance of a wound resulting from buckshot depends principally on the range between the victim and the muzzle of the weapon. A contact wound will consist of a circular wound of entrance whose diameter is approximately the same as that of the bore of the shotgun. The edges of the wound will be seared and abraded. 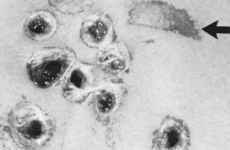 The wound of entrance often is surrounded by a wide zone of raw, abraded skin caused by flaring out of the skin around the muzzle at the time of discharge when the gas produced by the burning propellant enters the body. The mechanical action of the skin rubbing against the muzzle causes the abrasion of the skin. If the weapon is held in loose contact with the skin, there will be deposition of soot surrounding the entrance. 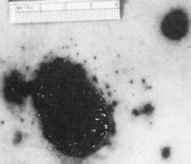 Deposition of soot continues out to a range of approximately 30 cm. As the range from target to muzzle increases beyond a few centimeters, powder tattooing of the skin appears. Depending on the form of powder present, i.e., ball or disk, powder tattooing in a 12-gauge shotgun will extend out to a maximum range of approximately 90 to 125 cm for ball powder and 60 to 75 for flake powder. The ability of granulated filler in buckshot loads to simulate powder tattooing has been discussed previously. As the range increases, the diameter of the entrance will increase gradually. At approximately 3 ft, the edges of the wound will have a scalloped shape. At 4 ft, there will be separation of buckshot pellets from the main mass so that there will be a large gaping wound with a few satellite holes. By 9 ft, there will generally be individual pellet holes (Figure 8.35). At close range, when there is still one large perforation, the wad usually follows the buckshot into the body. As the range increases, the wad will move outward from the main pellet mass path and will impact the skin either among or adjacent to the individual pellet holes, producing an oval or circular abrasion (Figure 8.35). Figure 8.35 Wounds from 00 buckshot. Note the abrasions from wadding (arrows). Figure 8.36 Shotgun wound of neck with a plastic over-the-shot wad from a Federal buckshot shell embedded in the entrance. both composite and cork filler wads (Figure 8.37). The cork wad overlay the powder. The victim was shot at close range (approximately 1 1/2 to 2 ft). The single large entrance was surrounded by a number of irregular abrasions in addition to some powder tattooing (Figure 8.38). No intermediary targets were present. Test firings revealed, however, that the cork wad fragmented on firing and that the fragments of cork were responsible for the skin markings. This shows the importance of integrating findings at autopsy with the individual weapon and ammunition. In most cases in which an individual is shot in the trunk with buckshot, the pellets will remain in the body. 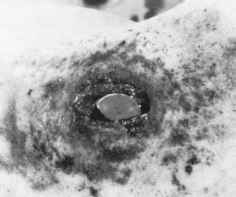 On some occasions, usually in contact or close-up buckshot wounds, the pellets may exit. Figure 8.37 Disassembled Federal buckshot shell showing the thin plastic over-the-shot wad, 00 buckshot pellets, a composite cushion wad, and a cork wad. Figure 8.38 Intermediate-range shotgun wound of chest showing powder tattooing and large irregular areas of abrasion. independent of the gauge, choke, barrel length, type of wad, and shot size. The major factor in the production of a square hole is the distance from muzzle to screen. A perfect square is not produced all the time, as one side can have a rounded appearance. Examination of the square hole shows that the individual wires of the screen are broken and bent outward by the pellets. The wires tend to be longer in the corners and shorter on the sides. When the strands are bent back into place, a circular hole is formed. As the range increases beyond 4 ft, the pellets start to spread and the hole takes on a circular appearance. At farther distances, individual pellet holes appear around the circular defect. Slugs produce square holes at all ranges.